Bring out the cheese, it’s the corniest time of year! Nope, we’re not complaining… give us a reason to wine and dine on a random Thursday with our partners and we’ll happily run with it. 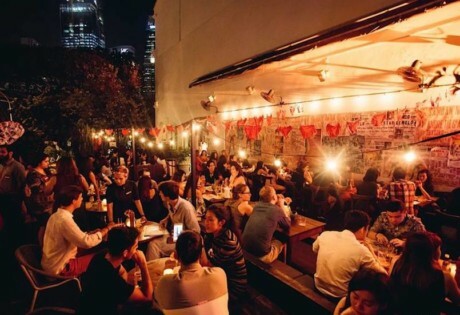 Especially, when Singapore’s most romantic restaurants are pulling out all the stops with special dinner menus and tipples. Give the predictable (and blah) cuddly toy a rest this year, and plan a date night you and your love aren’t likely to forget anytime soon. Nothing spells unique much like a Nox in the Dark meal. 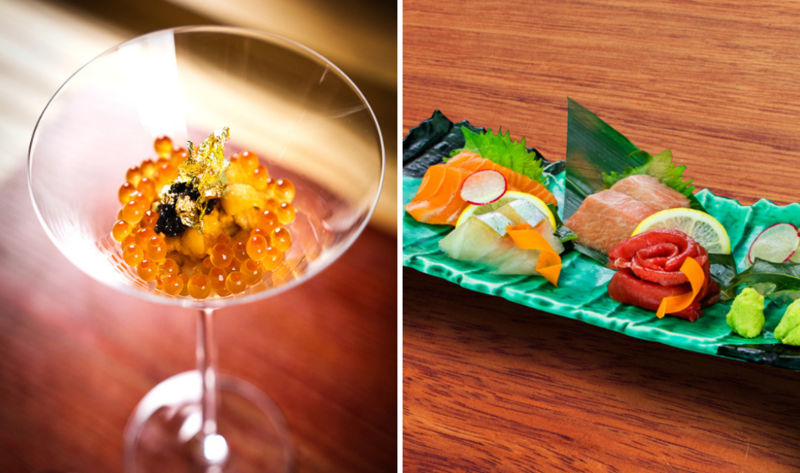 This one-of-a-kind dining experience is one for the books. Take it from us, it’s pitch dark in the dining hall – no, not the kind of dark where your eyes adjust and you can see faintly. It’s so dark – you can’t even see your hands. Leave your phones and wristwatches in a locker and you are guided upstairs to your table by your visually impaired and expertly trained host. 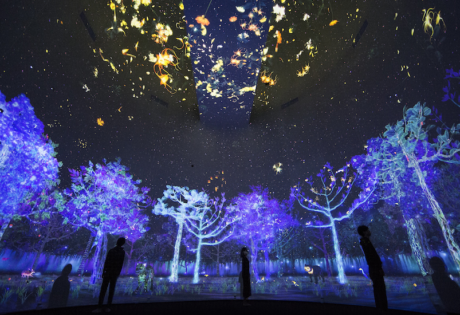 Nox in the Dark, Lunch: S$256++ and Dinner S$288++ per couple, select timings and prior reservation required. Enjoy a five-course meal atop Swissôtel the Stamford at Skai Restaurant with one of the most charming views of the city to set the mood. Fall in love with food and the vibe with a Valentine’s Day menu that includes melt-in-your-mouth Alaskan cod and wagyu strip. What we’re really excited for is the specially crafted dessert brownie with ruby chocolate, pickled cherry, meringue and raspberry ripple. Sweet! Take your beloved to Mr Stork for the Saint Valentine’s Teepee Experience. It’s got all the makings of an unforgettable evening – think exclusive access to the signature teepee huts for the night, along with a bottle of Ruinart rose champagne. It doesn’t stop there, couples also receive a Perk by Kate silk pouch (with $50 cash voucher) and Fossa chocolates. How about a private sail (of sorts) in the Marina Bay? 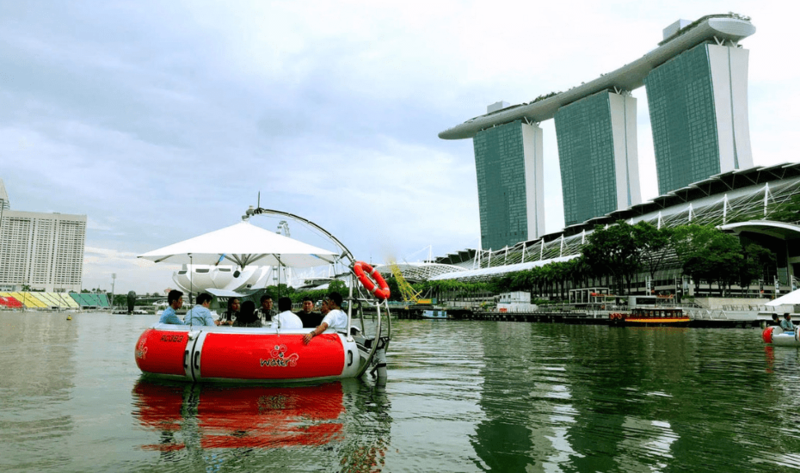 Pop a bottle and dig into a hearty meal from Monti, while floating in a donut around the Bay that’s extra festive this February (See: i Light Singapore, Prudential Marina Bay Carnival et al). The V-day menu features a main course – a roast chicken thigh with asparagus and mushroom, or pan-seared Norwegian salmon with smoked almond sauce and sauteed brussel sprout – followed by chocolate praline meringue with forest berries, coulis and rose caviar. Us? Well, we just can’t decide if we’d rather go on a breezy daytime cruise with our straw hat and shades, an evening one to catch the sunset or a cosy dinner with the city lights. If totally Instaworthy interiors, Parisian cafe feels and a tea-infused V-day menu gets your attention, then TWG Tea is perfect for you and your partner. Start off with a refreshing and sparkling white wine cocktail infused with Place Vendome Tea – a darling blend of fruity and floral tones and one of our faves. For fish lovers, this main course hits the right spots. Expect meaty pan roasted red grouper sitting atop a fluffy carrot sponge, tea infused fondant potatoes and a side of delicious kabocha pumpkin mousse and caper salsa. Adding extra crunch to the already flavoursome and textured dish are crispy squid ink crackers and spinach emulsion. Hot Mon Amour (hint hint) tea or iced Place Vendome tea comes next, followed up an impressive dessert platter. Think a classic French entremet mousse, tea infused of course, with strawberry marmalade, almond sponge and a scoop of Silver Moon tea ice cream. 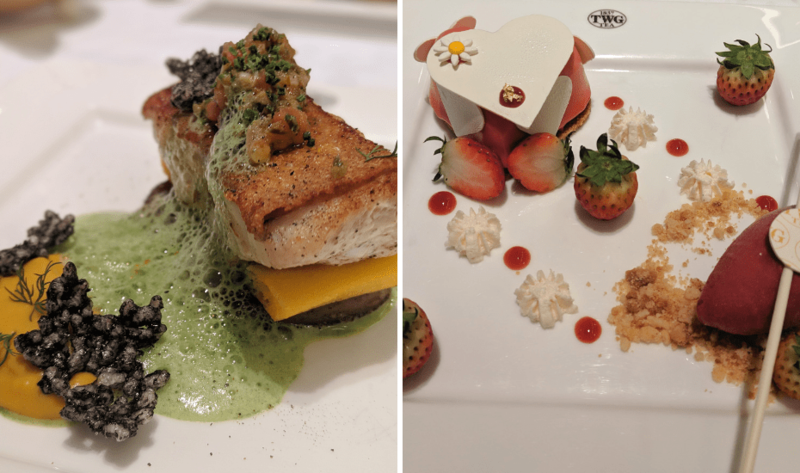 Chef Pang Kok Keong of the Parisian pâtisserie and restaurant has put together a three-course menu and sweet treats that’ll have you and your love floored. A sweet raspberry sparkling white wine cocktail is followed by pumpkin velouté with onion ash starters and a cured salmon tartare palette cleaners. Pick one of two mains – a pepper crusted tenderloin with beetroot potato, veggies and citrusy yuzu jus or a prawn risotto with wild mushrooms in a classic French Madeira sauce. Care for an edible bouquet that looks too good to eat? 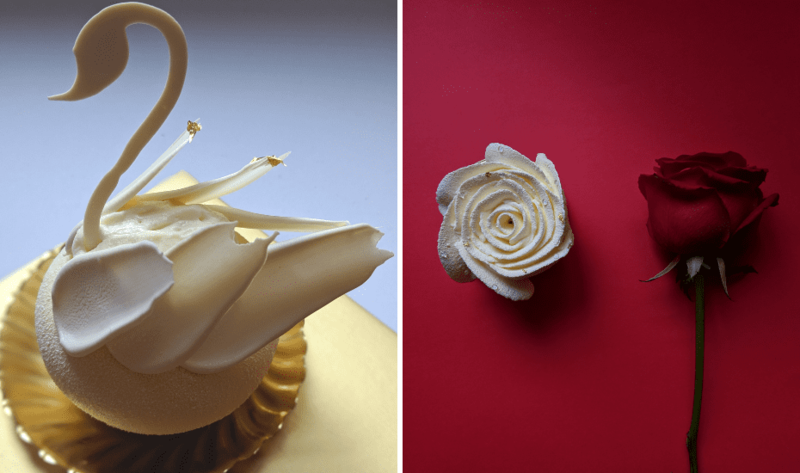 Take a bite out of La Rose crafted out of Chantilly cream, dark chocolate mousse, a dark cocoa sponge soaked in Grand Marnier liqueur and almond nougatine. 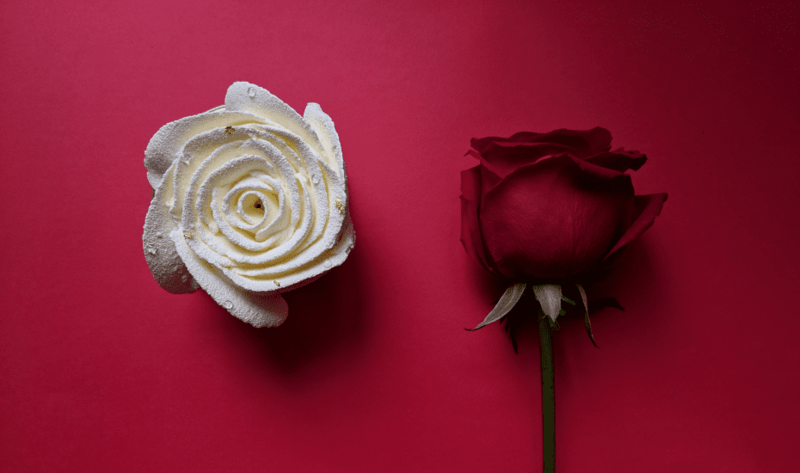 Psst: Don’t forget to take home an exotic V-day treat – we’re still going heart-eyes for La Rose Blanc and The White Swan. Get away from all the hustle and make your way to The Summerhouse, one of our all-time favourite romantic restaurants. A conversation bungalow and secret garden with private dome-shaped, fairy-light sprinkled dining spots are all kinds of magic if you ask us. Adding to the ambience is some incredible food. This a four-course sharing menu for a party of two include Alaskan king crab rillette on a brioche toast, the grilled sanchoku wagyu rump cap MBS 7 with port wine jus, sustainable red snapper served with grilled asparagus, Brazilian spinach from the garden and braised de puy lentil & chorizo. Wisk your date away for a five-course dinner at Open Farm Community – a lush and romantic restaurant concept that takes the “Grow Your Own Food” movement to the next level. Veggies, herbs and spices picked from their own 3,000 sq foot garden come together just perfectly for a curated V-day menu. Paired with a welcome drink, snacks and petit fours, indulge in Pinterest-y Valentine’s Day dinner at a city farm.